The Copa del Rey holders and winners of the competition for the last three seasons now know who they will face in the semi-finals. 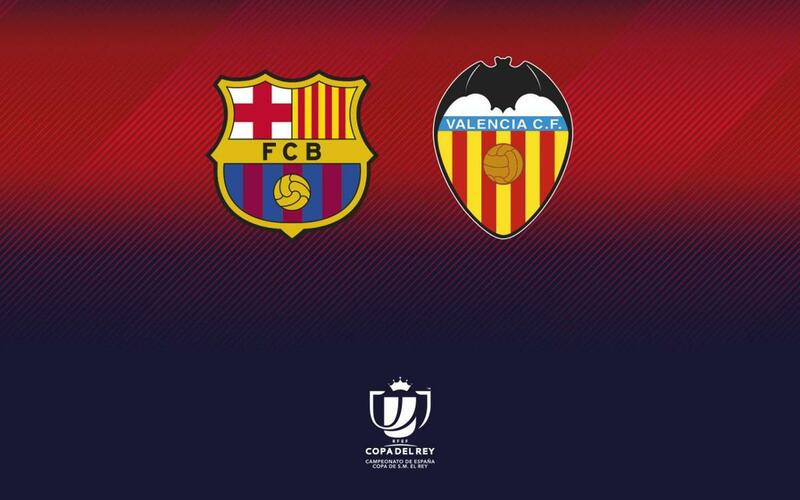 FC Barcelona will face Valencia over two legs in the semi-final for a place in this season’s final. The first leg will take place at Camp Nou on Thursday 1 February at 9.30pm CET with the return to come on Thursday 8 February at Mestalla, also at 9.30pm CET. The teams have already met this season in the league when the game ended 1-1 in Mestalla, Jordi Alba scoring for the blaugranes. Barça are in the semi-finals thanks to their 2-0 victory in the second leg of their quarter-final against their city rivals Espanyol. The game at Camp Nou saw a debut for Philippe Coutinho and goals from Luis Suárez and Leo Messi which turned around the 1-0 deficit from the first leg. Ernesto Valverde’s team had previously knocked out Real Murcia and Celta de Vigo in the competition with now only Marcelino's Valencia side stand between Barça and an eighth appearance in the final in the last 10 seasons. The winners of the tie will face either Leganés or Sevilla in the final as they face off in the competition's other semi-final.